As our regular Film Club members are aware, over he last few months we have been trying various options, to enhance the quality of sound and our enjoyment at our Film showings. The next viewing is scheduled for Thursday 26th July showing 3 Billboards outside Ebbing Missouri. This will take place in Ace Cafe in Adelaide Row, Seaham. 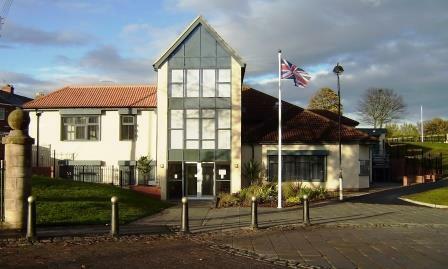 The Cafe is situated downstairs in the old Seaham Town Council Offices. They are able to provide us with their own equipment and sound system, along with our usual Tea and Coffee. Please come along and join us for this trial for the lowered price of £1.